With the holidays around the corner, we begin to envision ourselves baking and enjoying warm home-cooked meals with our family and closest friends. In recent times, kitchens have made the transition from a simple functional room for meal preparation to a cozy space for family to gather and unwind at the end of a long day. 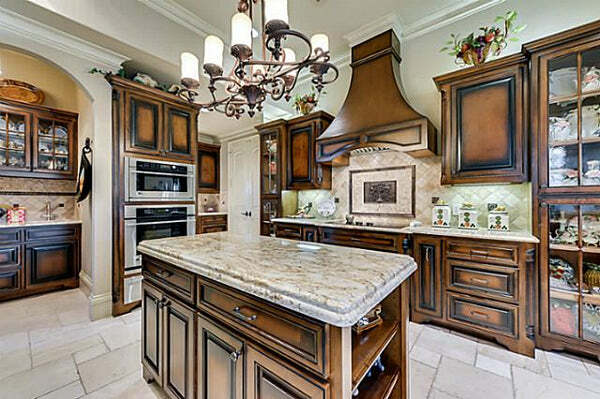 Beautiful, and functional kitchen designs can be found in home plans of styles and sizes. No matter how small or large your future home will be, you will enjoy Archival Designs' featured gourmet kitchen designs and their outstanding functionality. The Presente House Plan (2,344 sq. ft.) features a large cooking island ideal for meal preparation while entertaining friends, or helping children with homework. A full window wall in the sink area allows for maximum daylight to flood the space. Wall ovens, and an over-sized refrigerator make this kitchen functional in all settings. Three large cabinets for floor to ceiling pantry space accommodate everyday items, as well as bulk purchases from large membership stores. The Fairhope house plan is a top-selling luxury design in a smaller size. 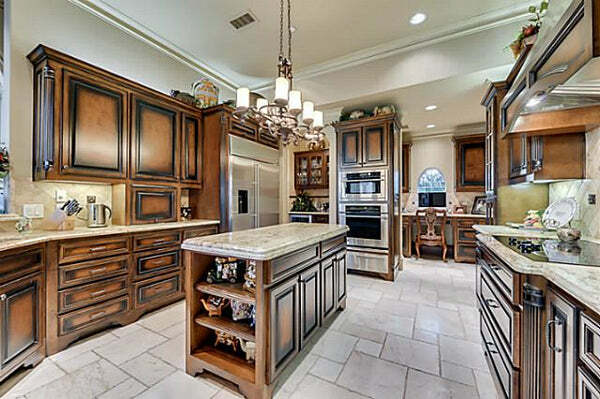 The luxurious kitchen upgrades take this 2,666 sq. ft. home to the level of a mansion. Enjoy an over-sized island ideal for serving during the holidays, or a quiet breakfast area to enjoy with the kids. Plentiful counter space allows for family cooked meals, while additional space between the island and sink area ensure comfortable working space for more than one. The Big Canoe house plan (3,588 sq. ft.) features a spacious kitchen open to a casual breakfast area, and family room. This client modified version boasts rustic cabinets and floors, and beautifully contrasts them with state-of-the-art, chef-inspired appliances bringing beauty and function into a perfect balance. The Renaissance house plan features a traditional kitchen with luxurious counter tops, and custom cabinets providing warmth for family gatherings. If you're lifestyle calls for traditional design, the Renaissance house plan (5,907 sq. ft.) provides the perfect setting for your family. This traditional kitchen features custom cabinets, luxurious counter tops, and ample space for prepping meals alone or with children. The Renaissance home also features direct access to a spacious home office, ideal for looking up recipes. A functional, and stunning butler's pantry is centered between the kitchen and dining room allowing for easy serving during formal gatherings. What is important to you in great kitchen design? Tell us what you love and works for your lifestyle! All featured house plan available online at Archival Designs or by phone at 770-831-6363.